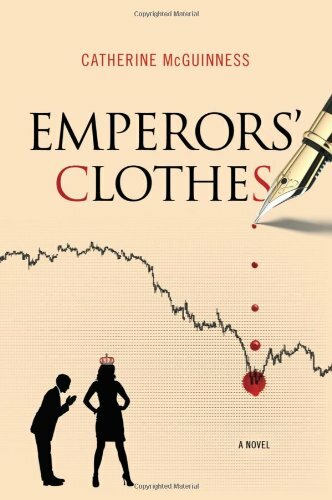 Part cautionary tale, part farce, Emperors’ Clothes tells the story of two executives and one mob boss who put a Sopranos’ style spin on corporate strategy. Stewart Narciss, whose accomplished father prefers the company of his hairless cats to that of his only son, equates executive status with self-worth. To impress the movers and shakers, Stewart hooks his career to the rising power of human resources. Unfortunately for the employees on his watch, lying prostrate before his cold-fish father is the closest this executive comes to touchy feely. As his efforts to bond with his father, and his company’s CEO, are rebuffed, Stewart manipulates the succession process at TMC, assuring his place as consiglieri to a future boss. Enter Carol Himmler, a beautiful yet ruthless executive who chews up employees with the indifference of a wild animal eating her young. When a chemical spill results from workforce cuts she made, Carol hires mobster Sal Scruci to make the problem go away. Only problem is Scruci never goes away. 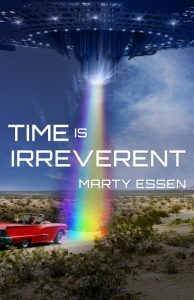 All hell breaks loose when Sal reinvents himself as an executive talent scout–not a guy who takes no for an answer. As self-centered agendas drive shortsighted decisions, TMC Corporation heads down a bumpy road–and everything from carefully cultivated allegiances to personal integrity suffers. Emperors’ Clothes is a rollicking tale told with trenchant wit and insight, leaving readers to wonder who’s really the bad guy and if the emperors ever had any clothes. Dalt Frisbie’s plans to build an amusement park are met with wondrous enthusiasm by the natives. But when Richie Rat starts marking his territory on his first visit to town, and Mr. $-ner arrives with all sorts of riff-raff, their simple lives are changed forever. 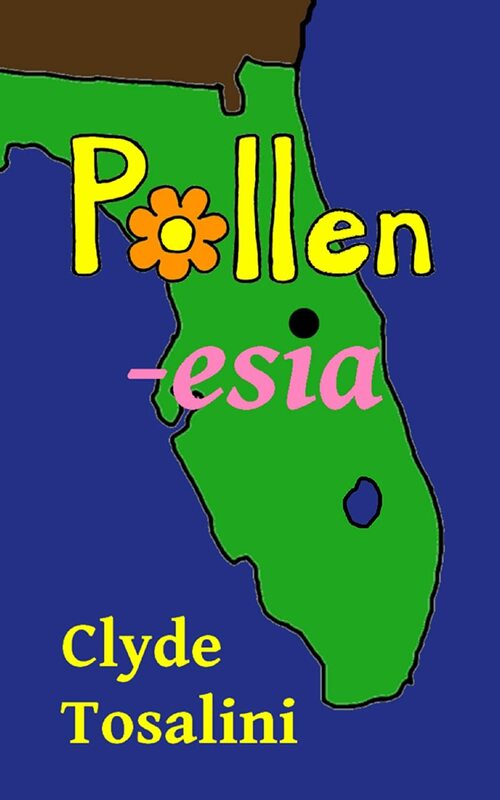 Populated with cartoon vermin, real vermin, people dressed as cartoon vermin, former Ratkateers, a momilogist, and a bevy of bikini-clad beauties (one very well-read), “Pollenesia” is a charmingly vitriolic satire of Florida, the tourist industry, and society in general. Told from the point of view of a native fortuitous enough to have landed a janitorial job at the park, this book is a lark for Florida-lovers and Florida-haters alike. Okay, this ebook is no threat to the great poets of all time. On the other hand, if you want a book that will be a friend for life, this book should be your choice, even if your companion may be a bit silly or absurd at times. On the other hand, you might find some wonderful epiphanies among these twenty-eight light verses, as when the heartwarming Comet explains why one date is “The most important day in American history”, or when a mother crick gives advice to her son, or when a narrator explains the real meaning of Stonehenge. Tom Paine (he of the American Revolution) is here, his life spared by ironic circumstances. Jodie becomes friends with Hannibal. A woman explains why boy friends are like Wet Paint signs. And much, much, much more. Someone please send this book to the Pulitzer Prize committee. Michael Lane lives in Kelowna, BC, Canada. He is a writer, angler, father, husband, artist and gamer who is alternately astounded and despairing at this strange, strange world. His books include Behind the Ruins, a science-fiction novel following the quest for redemption of a damaged man set in a near-future world stripped of much of its technology, and Tokyo Pizza, a satirical and humorous look at the action/thriller genre that was a shortlisted finalist in the 2013 30-hour novel challenge (NaNoWriWee). Lane has worked as a journalist, photographer, and many other odd jobs including sales, which he was abysmal at. Tokyo Pizza was a shortlisted finalist in the 2013 #NaNoWriWee competition, sponsored by The Kernel Magazine and HarperCollinsUK. It was conceived and written in the space of a single weekend across 30 hours in an exciting, exhausting marathon. Over one hundred and twenty writers took part, and thirteen went on into the final round, Pizza among them. I’d like to thank the Kernel, Authonomy and HarperCollinsUK for the chance to do something unique. 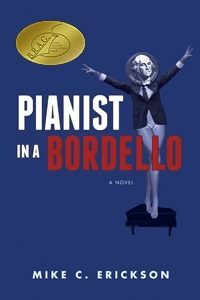 Winner of the 2011 National Indie Excellence Award for Comedy, Five-Star FLEECING pokes fun at high-end luxury hotels through the eyes of an unlikely heroine, Linda Lane. No one’s immune in this scathing satire: from senior hotel staff to paparazzi to guests where true tales from the crypt are exposed in this rollicking adventure. Keeping comedy fresh and funny is the utmost challenge. Although I was challenged, actually sorely tested, for 30 years on Wall Street writing financial analysis based on annual reports aka science fiction. The proof of the pudding is in the rewrites, revisions and edits even if you have to throw out 3/4s of what you write. Whatever doesn’t kill you will make the work better. Formerly a commercial banker, Ms. Stone fulfilled a lifelong ambition by publishing “Five-Star FLEECING,” receiving awards and critical acclaim. Since then, she published a comedy series of ebooks about online dating, a few very strange smaller publications and did a lot of things that she regrets. April 2012, she started KISS-keepitsimpleschmuck.blogspot.com, becoming a top comedy blogs with over 23,000 readers as of March 2013. The vlog version of her blog is soon to come out. Stay posted. What initially started as a complaint letter to senior management at a luxury hotel ended up in a 300 plus page manuscript ten years later. Something tells me I was on the right track as the hotel is no longer. The first female presidency hits America with such force that no one could ignore it even if they tried. Madame President is determined to protect the freedoms of all Real Americans – as she defines them. Follow a confused young man, a desperate girl, a paranoid reporter, and a superstar pastor with a terrible secret as they try to survive an all too possible world where homosexuality is a disease, abortion is a crime, and Jewish citizens find “emigration notices” in the mail. For anyone who’s ever wondered how important elections really are, and for anyone who knows just how important elections can be, this book is for you. Write every day because you will produce nothing but crap for the first five years. After that, keep writing every day and submit. 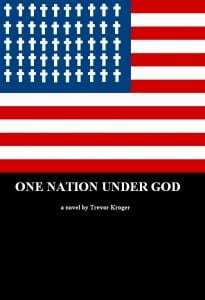 Trevor Kroger is a working writer with delusions of grandeur residing in the DC area.